My favorite of the two I’ve read, Robbie’s story is reaching for, and achieving the promise so prevalent earlier in the series. Winter has come and things are cold and frosty, but inside the walls of Pans ‘n’ Pancakes, the cozy welcome hits all who enter. She’s offered to host the University’s Sociology department two evenings a week – hoping the discussions will be interesting and benefit the business and her expansion plans with a much-needed infusion of cash. Surprised by the infighting and hostility of these meetings, she’s off snowshoeing with her friend Lou when they discover a body. Under Ice. In a pond. Of course, Lou had words with the now-dead man, and as everyone runs to cover their own tracks, her guilt increases. Now, Robbie knows that Lou had no hand in the murder, but she’s been fairly successful in her earlier investigations, so why not nose around and see what she can discover. And could it all be connected to the discoveries she’s making as she digs in to expand the shop to a B&B, or the secret tunnel to the barn. A barn with secrets of its own to conceal? Robbie has found her place in this little town, and built quite a series of friendships and respect, even from those who first doubted her ability. The shop was the best move she made, and the opportunities and possibilities that she imagines are exciting. 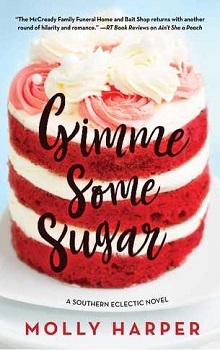 Since she “just” owns a small café and store, many people discount the clever woman behind the apron: she’s good at putting pieces together and discovering answers, and she’s decided she NEEDS to know the answers to the questions uncovered in this story. Secondary characters are clever, the culprit is well-disguised and the secrets (some long buried) in this small town are never safe from a determined sleuth. This series is working into a solid favorite with a solid sense of place, a few clever recipes and plenty of intrigue to keep the pages turning. Maddie Day is a pseudonym for Agatha-nominated mystery author Edith Maxwell. 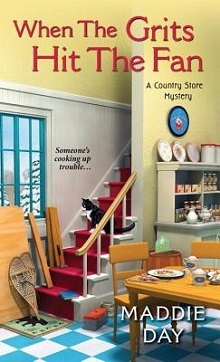 As Maddie Day, Edith writes the Country Store Mysteries, from Kensington, set in southern Indiana. FLIPPED FOR MURDER releases in October, 2015. Edith lived in Bloomington, Indiana and earned a PhD in linguistics from Indiana University. Her roots in the state go back five generations. Please see Edith Maxwell's author page for more information about her three other mystery series and her award-winning short stories.